This year’s Grammys features some familiar faces for nominees and performers alike. Plenty of scene favorites have been nominated including twenty one pilots, Bring Me The Horizon, FEVER 333, Underoath and Post Malone. We already knew Malone would be joining the Red Hot Chili Peppers for a dual performance, and the Grammys are now unleashing more of the star-studded lineup. Best Alternative Rock Album nominee St. Vincent will hit the stage with Dua Lipa. Lady Gaga will also be performing “Shallow” from Oscar-nominated film A Star Is Born without co-star Bradley Cooper. The duo will be saving that performance for the Oscars Feb. 24. Travis Scott was also added to the bill, following his meme-worthy performance at the Super Bowl LIII halftime show. It was also announced yesterday that Katy Perry, along with Little Big Town, Maren Morris and Kacey Musgraves, will join Dolly Parton for a tribute covering songs from her original motion picture soundtrack for Netflix’s Dumplin’. These additions will join an already stellar lineup, featuring the likes of Miley Cyrus, Cardi B, Janelle Monáe, Brandi Carlile and H.E.R. The show will also feature the aforementioned intriguing crossover between the Red Hot Chili Peppers and Post Malone, the latter of whom is nominated for four awards. Alicia Keys will serve as the host for the 61st installment of the music award show. The show takes place Sunday, Feb. 10 at 8 p.m. EST, and will be broadcast live on CBS. You can check out the full list of nominees here. 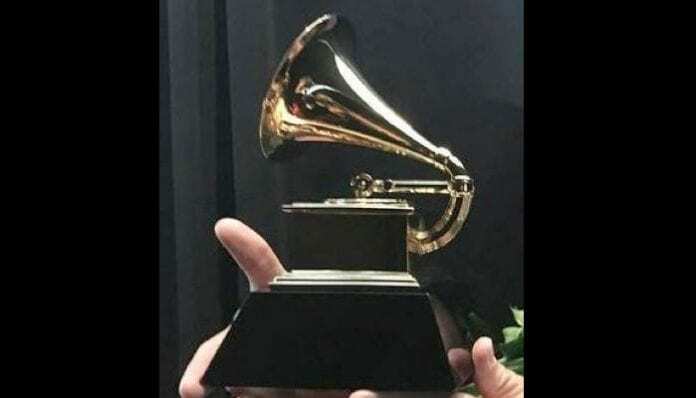 Popular music fans possibly experienced some awards season confusion last week when an apparently leaked list of 2019 Grammy Awards winners made the rounds on Twitter, the since-deleted tweet proffering a roll of seven Grammy winners. Alas, the proposed list was not legit, the actual Recording Academy states, a rep for which took to the internet themselves to refute the supposed leak. Album Of The Year — H.E.R. What do you think of the new performers? Let us know in the comments below!